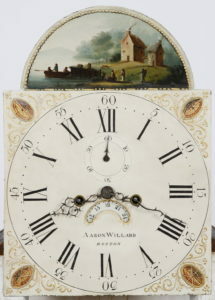 High Style Inlaid Mahogany Tall Case Clock made by Aaron Willard, Boston C. 1810. 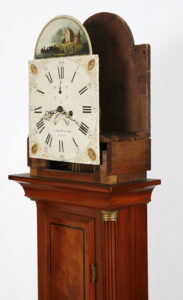 This monumental clock stands at 99 1/2 inches tall and is in an excellent state of preservation retaining it’s original feet & fretwork. 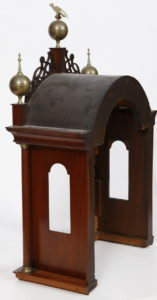 The arched bonnet with applied fretwork retained by three chimneys with a tombstone shaped bonnet door flanked by free standing fluted columns captured by brass capitals with brass stop flutes. 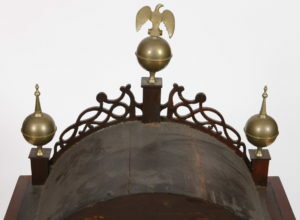 The waist section with bold crown molding flanked by fluted quarter columns with brass stop flutes and brass capitals as well. 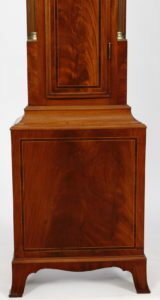 The inlaid figured Mahogany waist door with banding and Satinwood string inlay continuing to a choice crotch grain Mahogany base panel with matching banding and line inlay. 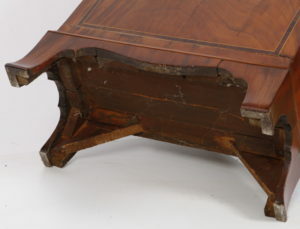 The base rests on wonderful applied French feet. 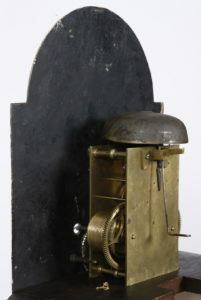 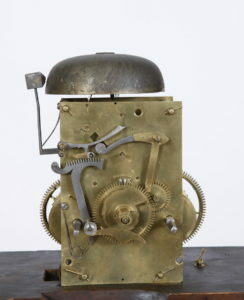 The works are brass, eight day weight driven time and strike with calendar. 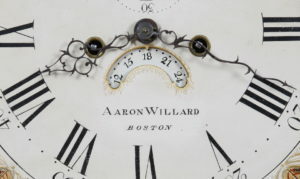 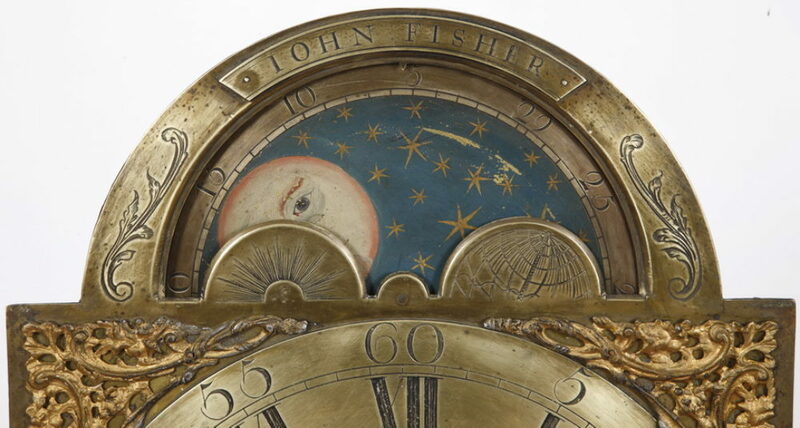 The American painted iron dial appears to be the work of Spencer Nolen of Boston and there are traces of the dial painters name on the back of the dial in the upper center section. 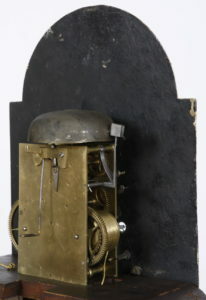 The dial mounts directly to the front plate of the movement with three dial pillars. 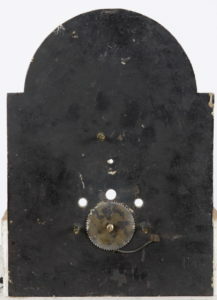 There is no false plate which provides supporting evidence of the “American” dial attribution. 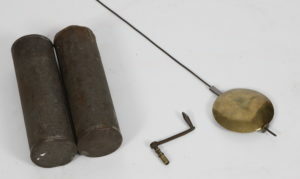 A pair of original “tin can” weights power the clock. 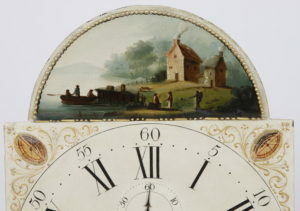 The works have been professionally serviced and the clock runs and strikes perfectly.